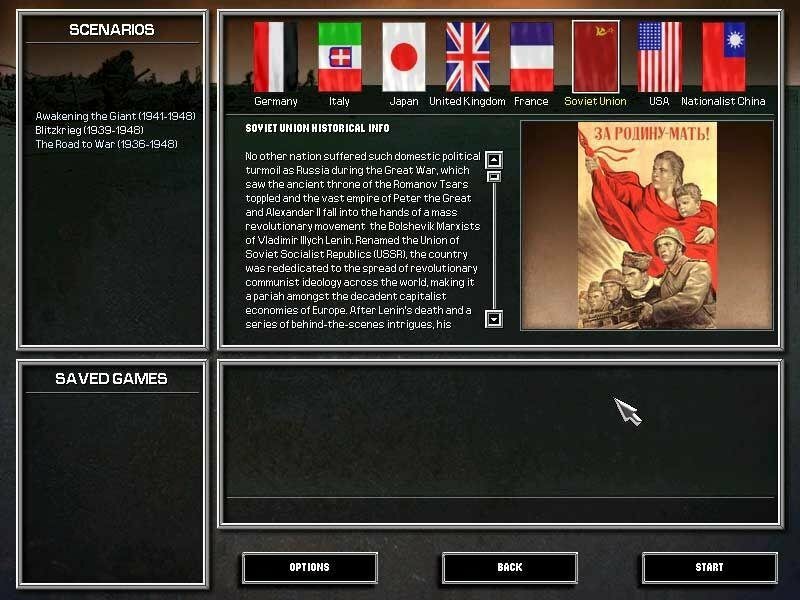 Hearts of Iron is a grand-strategic wargame that gives you a shot at redirecting World War II as any one of several dozen countries between 1936 and 1948. 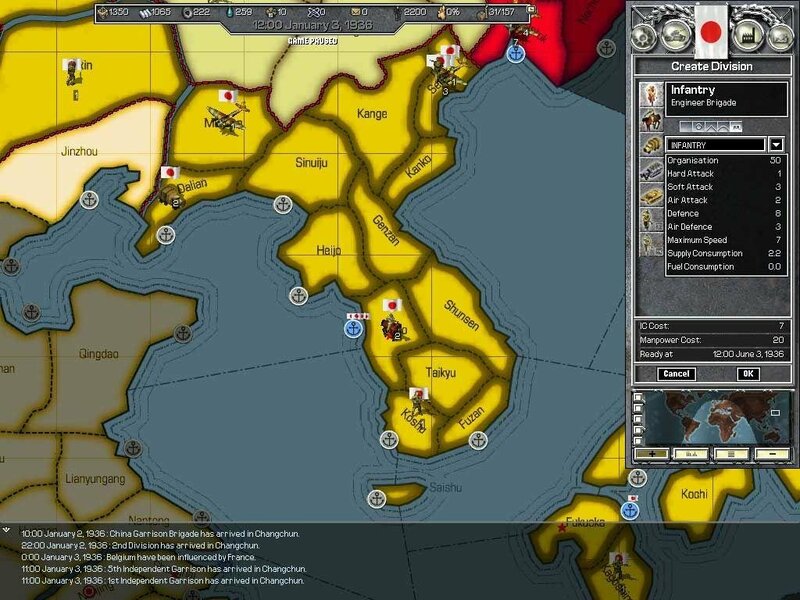 It’s based on the Europa Universalis engine that wowed strategy gamers. 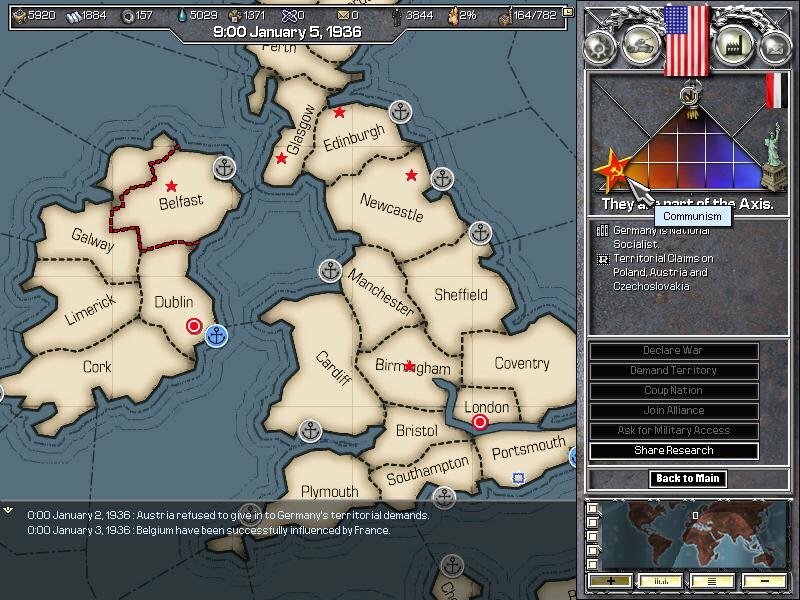 Buckling exhaustive historical detail onto compulsive gameplay, developer Paradox has delivered a compelling WWII grand-scale sim. 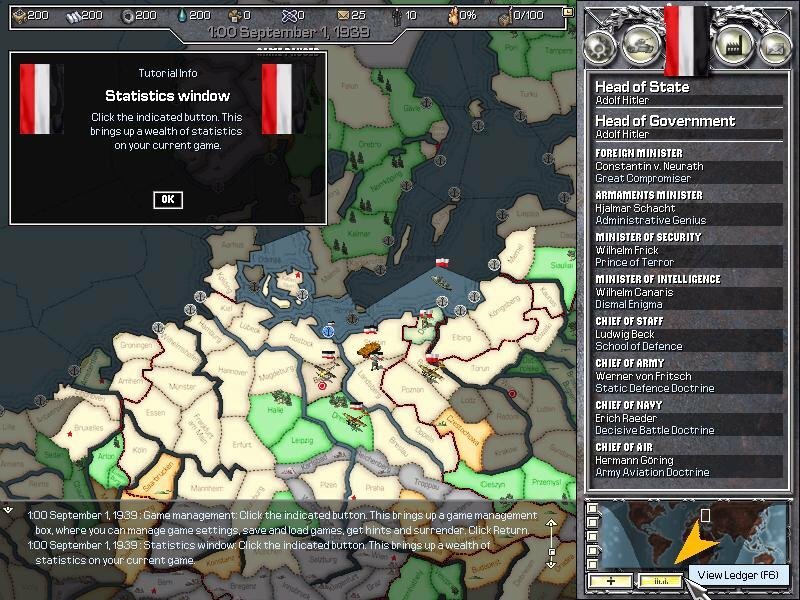 The designers have amazingly mapped the entire globe, breaking each country into provinces to give traction to the gradual conquest or defense of nations. 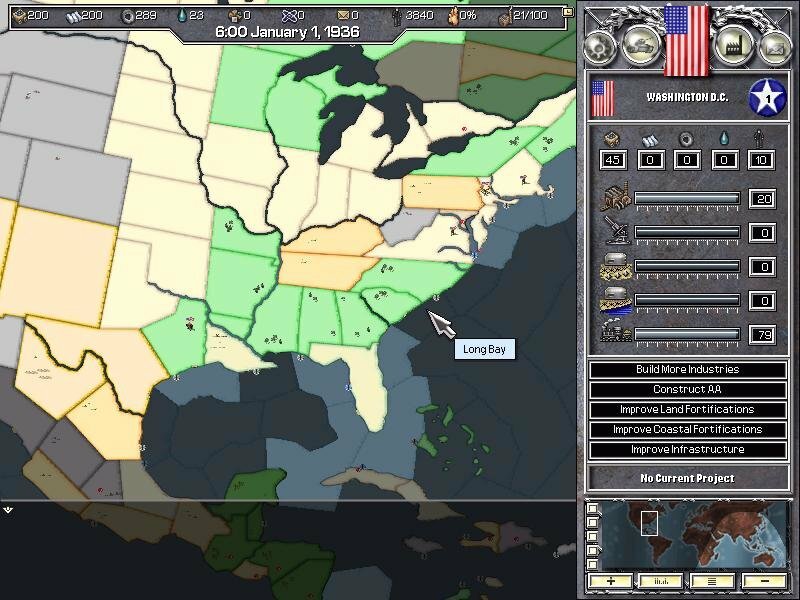 The game plays out in real-time (yes, really) in increments of hours. You can thankfully slow down or pause events as you like without compromising control. 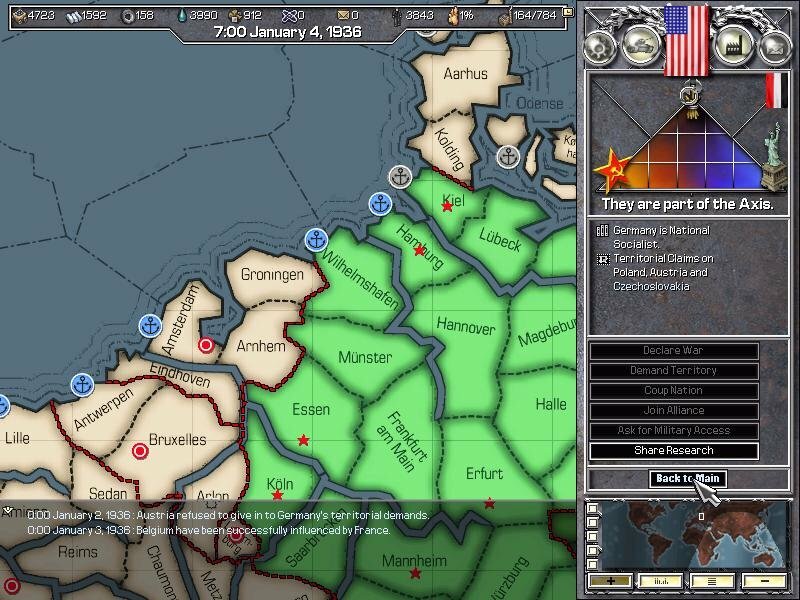 It’s always a gamble pitting the tension of the clock against the complexity of a wargame, but Paradox somehow manages to pull it off like Germany steamrolling through Poland. After selecting a country at startup (including Belgium, Portugal, and others alongside the usual heavy-hitters of England and Germany), you’re tasked with managing its internal resources, diplomacy, technology, and military activity. 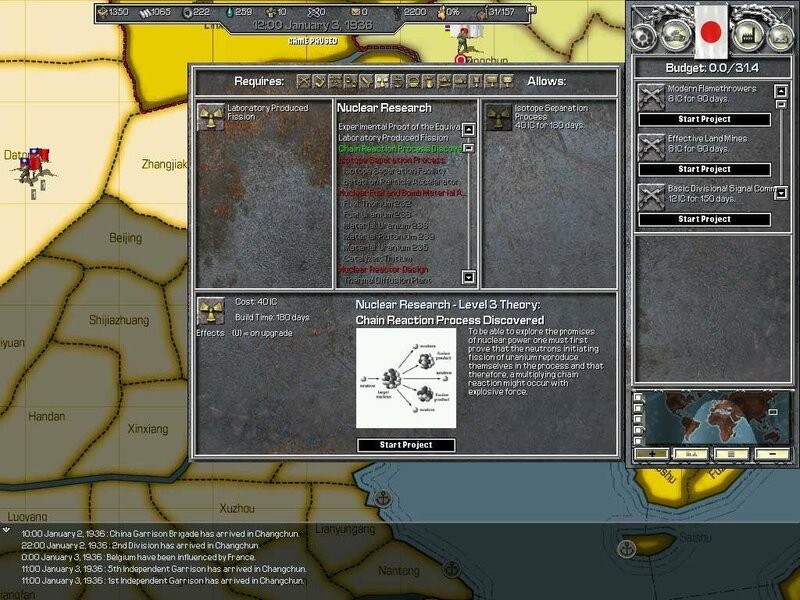 The primary currency of the game is Industrial Capital, which consists of sub-categories like consumer goods, supplies, research, and production. 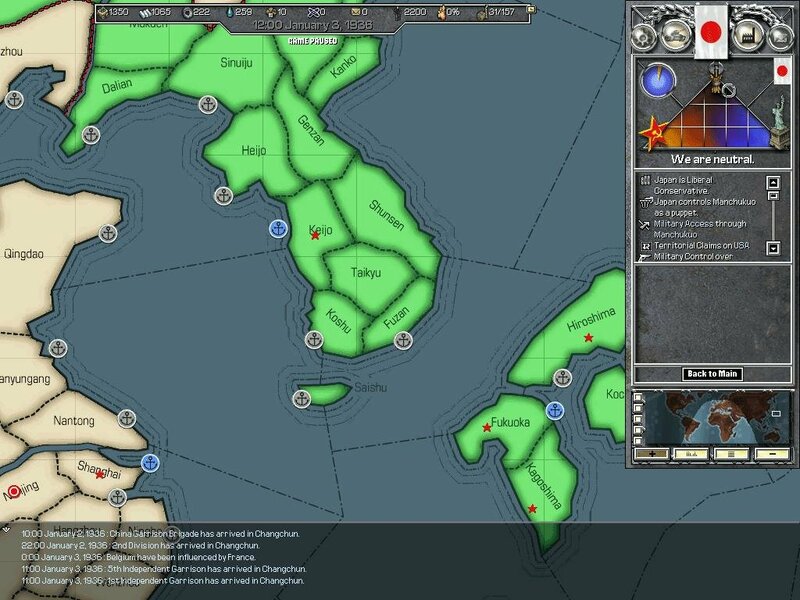 You generate industrial capital by controlling provinces that contain coal, oil, steel, or rubber resources, and by building additional industries. 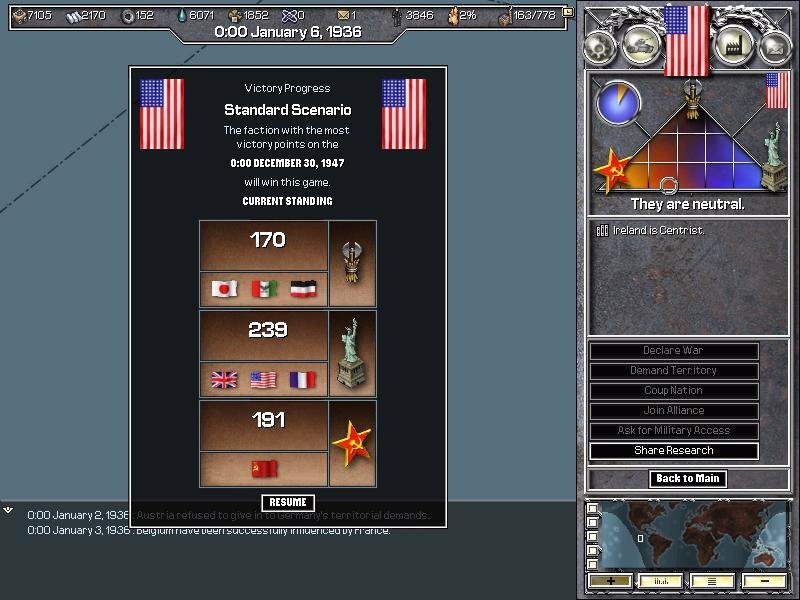 Research in Hearts of Iron makes other games’ tech trees look like grade-school doodles. 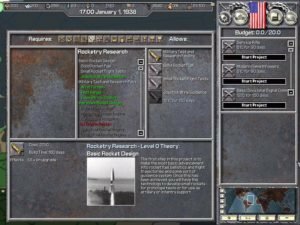 Broken into 14 categories ranging from infantry research to naval warfare doctrine, the massive array of upgrades affects everything from tank armor to radar capabilities to the eventual development of The Bomb. 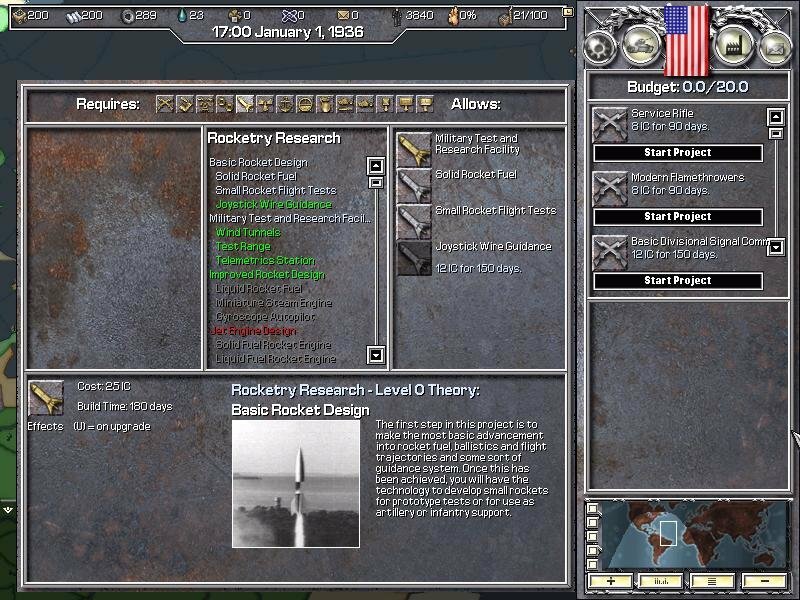 You have literally hundreds of unique technologies to poke at, all with slick historical pictures and informative descriptions. It’s nothing short of exhaustive. 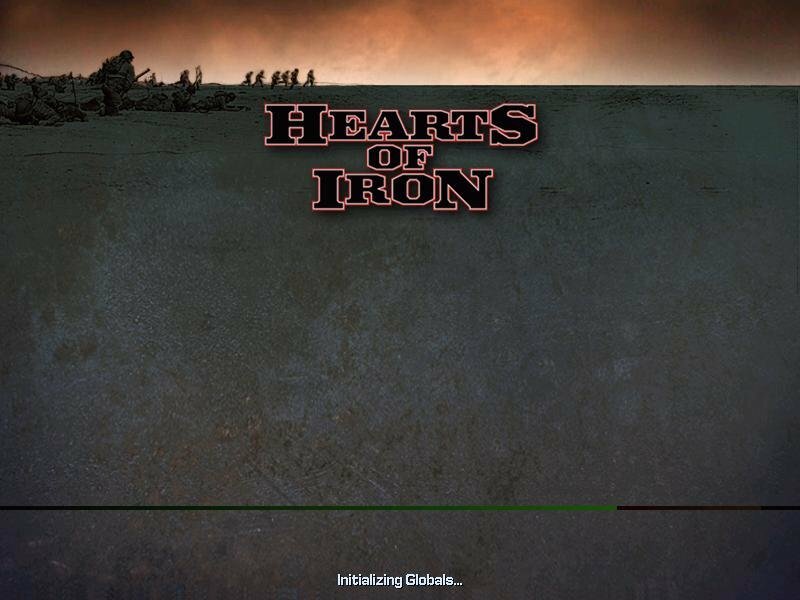 The other side of all this detail is combat, which is executed very smartly thanks to a brilliant little innovation that allows you to time-coordinate all your unit attacks by the hour. 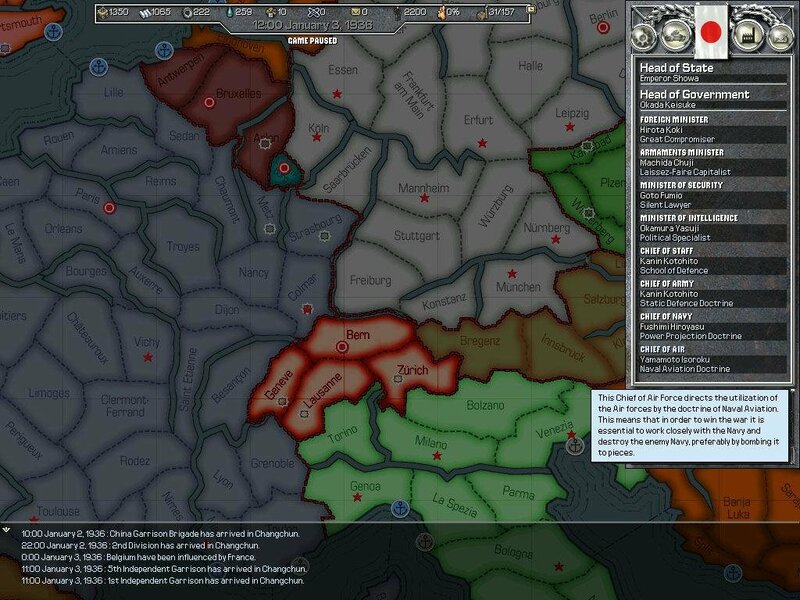 For example, you can plan a typical German blitzkrieg bomber-armor-infantry attack in that very chronological order, meaning that Hearts is one RTS that doesn’t demand that you be clicking individual units in sequence. 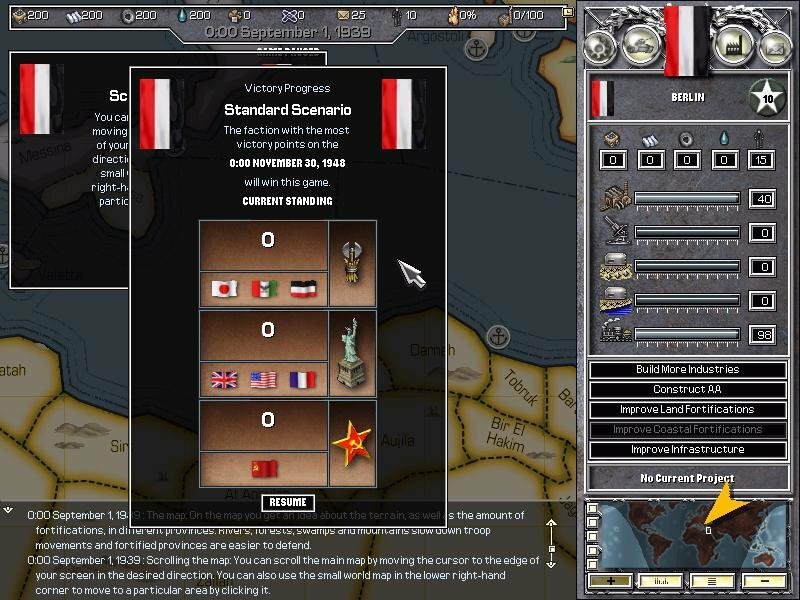 The designers even added the ability to switch between 3D units or standard NATO symbols for display preference. But you’ll need more than a few casual sessions to absorb this monster. For example, it tracks complete global weather patterns from hour to hour (since weather greatly impacts attacks). 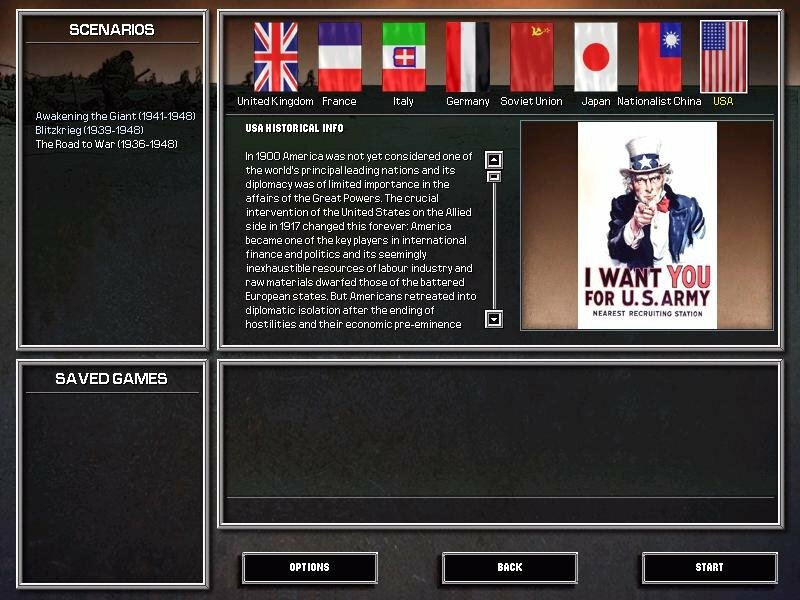 You’ll need to learn the ins and outs of running sea convoys, creating coalition armies, managing your political appointees, and above all else, coming to grips with the AI. It’s a mean beast to tame, and it will take a thorough analysis of the manual, but go through that chore you must in order to learn the deep ins and outs of this game.